Sensing for Asset Protection with Integrated Electronic Networked Technology (SAPIENT) is an autonomous sensor system designed to reduce the workload of perimeter protection and security personnel. Most security systems, such as CCTV cameras, simply collect data and feed it to an operator who assesses the situation and directs the system accordingly. Monitoring and interpreting lots of data can place a high cognitive burden on the operator. In the SAPIENT system, individual sensors make low-level decisions autonomously, such as which direction to look or whether to zoom in, in order to fulfil a higher-level objective. These higher-level objectives are managed by a decision-making module which controls the overall system and makes some of the decisions normally made by the operators. This reduces the operator’s need to constantly monitor the output of the sensors. 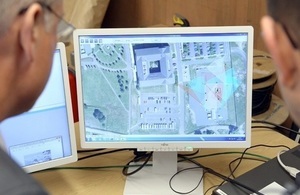 SAPIENT has been demonstrated in realistic base protection scenarios with live sensors and targets. The system included 4 types of autonomous sensor modules and a level decision making module, linked together by a middleware software architecture which was developed by QinetiQ. During the demonstration, the system performed sensor cueing, intelligent information fusion, sensor tasking, target hand-off and compensation for compromised sensors, all without human control. SAPIENT has shown that autonomous modular sensors can be developed. This is an important step forward in enabling sensors to ‘plug and play’ and allowing operators to focus on the task in hand rather than sifting through large amounts of data. This concept could have significant benefit both in civil security such as the protection of infrastructure and in military systems such as base protection. SAPIENT is a jointly funded project by the Defence Science and Technology Laboratory (Dstl) and Innovate UK, who are now working with industry partners to exploit these technologies further for military and civilian security applications. If you would like to be involved in this work, please read the SAPIENT interface control document (PDF, 1.08MB, 85 pages) . To register your interest, please contact us. The attached SAPIENT interface control document (PDF, 1.08MB, 85 pages) is released by Dstl under the Open Government Licence version 3 (OGL v3) to permit free and unrestricted use by third parties. Contributions are invited from relevant stakeholders so that they can be included in further editions of this document. A requirement of any contributions provided to Dstl is that they be provided without restriction on future use by Dstl and third parties. To achieve this it is recommended that they be released to Dstl under the Creative Commons Zero (CC-0) licence.